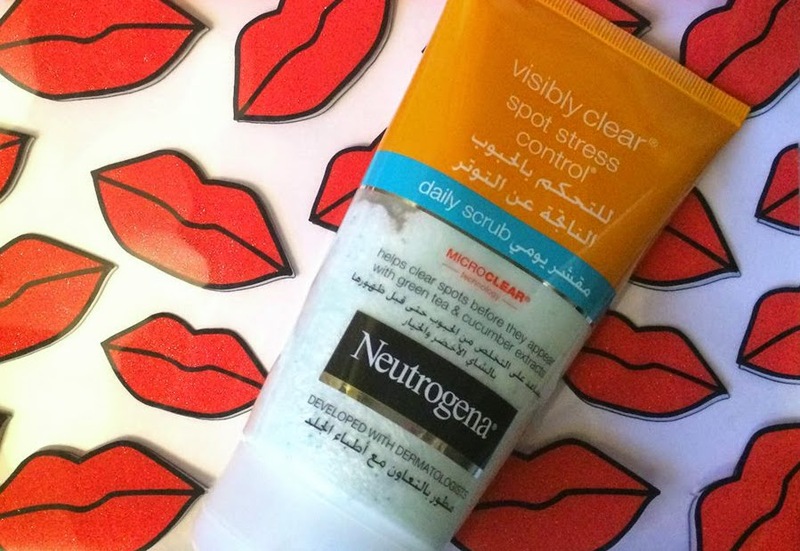 My skin breaks out from time to time, so to help keep my skin under control I enlisted Neutrogena Visibly Clear Spot Stress Control Daily Scrub.I've been using it regularly for about 3 weeks and I have to say, I think it's the right scrub for me.I have long been on the lookout for a new facial scrub that comes in a travel friendly tube.Small sizes are usually more easier to carry when travelling and also give me the opportunity to switch brands as often as I like without feeling guilty. These are all the reasons why Neutrogena Visibly Clear Spot Stress Control Daily Scrub caught my eye.The first thing I noticed about the scrub is that it smells heavenly.It has a very fresh and subtle green tea kind of scent, which lingers for a little while after use.On the plus side, it's formulated to help you fight acne where it starts, while actively reducing the irritation and redness associated with breakouts.Spot Stress Control is so advanced, it treats acne even before it emerges. The creamy rich texture still feels very nourishing and I even like this more than Neutrogena's Visibly Clear Blackhead Eliminating Daily Scrub, thanks to the inclusion of green tea and cucumber extracts.After using this for awhile, I noticed my skin definitely looking more even and it helped clear up some persistent, evil acne that I was harbouring on my T-zone.The thing I loved about the scrub was that it just felt so ridiculously gentle on my skin.Sure, you can still feel that it's a scrub, but it doesn't feel like it's stripping your skin raw.It's perfect just another green home wonder from Neutrogena!